If you are looking for moving services with truck labor only services to help you with your move while saving you some money, Big Boys Moving and Storage can help! Not many people know that one of the best ways to save money while still getting assistance with their move is to employ the services of a labor-only moving company. Here at Big Boys Moving and Storage, we offer a full array of moving services for all types of moves and that includes moving services with truck labor only! The hardest part of moving is the labor – moving boxes from your home to the moving truck and from the moving truck to your new home. Many full service moving companies don’t offer this type of service because they want to make more money from your move. At Big Boys Moving and Storage, we offer all types of moving services to meet your needs because we know that every move is different and we all work with different budgets, preferences, and time constraints. Our moving services with truck labor only option is a great choice for you if you prefer to do your own packing and unpacking. We understand, not everyone likes the idea of a stranger going through their stuff even if they are professional packers with years of experience. Or, perhaps it’s not a matter of people helping you pack, maybe it’s more that you’re working on a shoestring budget and just need help with the labor of moving. Whatever the reason (and you don’t have to explain it to us!) 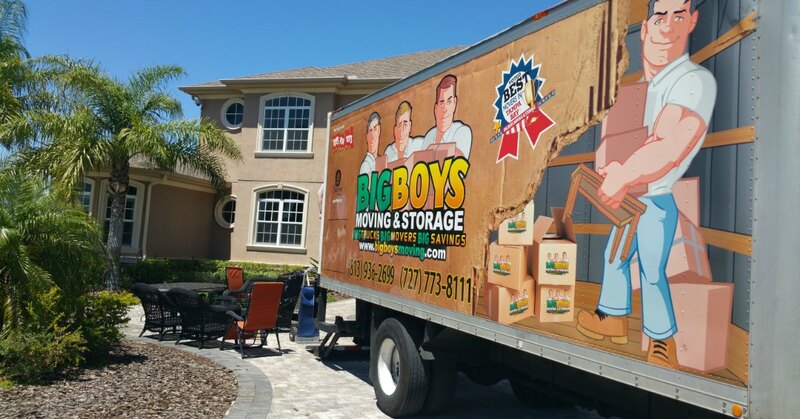 you can give us a call at Big Boys and let us know that you need help from our professional movers to take care of the labor of your move for you. What Moving Service Options Do I Have With Big Boys? The full-service move includes everything you would traditionally think of when it comes to moving. We will have our professional packers come in and carefully wrap and pack your belongings and furniture so that nothing is damaged during the move. From there, once your home is packed up, we’ll load those boxes carefully into our moving truck and secure everything to prevent it from sliding around and getting damaged during transport. Once we get to your new home, then we will start unloading those boxes and that furniture and moving it to your new home…yes, even if you’re in a third-floor apartment! Once we have everything in the right room of your new home, we will then help with the unpacking. This is by far our most popular moving package simply because it requires you to do nothing for the moving process, you just sit back and let us do the heavy lifting! If you can’t quite manage the labor involved with moving and you don’t have a truck and don’t want to pay extortionate prices from truck rental companies, you can use our moving services with truck option. With this moving package, we leave the packing and unpacking to you! Once you have everything packed up, we come to your home, get those packed boxes loaded and secured in our moving truck and head to your new place! Once we get there, we unload those boxes for you and leave the unpacking up to you! The benefit of our moving services with truck moving option is that it allows you to cut down on your moving expenses but it also means that you don’t have to do any heavy lifting and you don’t have to hunt down a moving truck! Another great moving option if you’re looking to save on a big cross-country move is our labor-only moving option. When you are making a long-distance move, it can often be more cost effective to use a Podz or packing container to move your belongings rather than to use a truck. When you use this service, you just arrange for your Pod or shipping container to be delivered to your home. Then you take care of the packing and boxing up of your items and once everything is packed, we will have our professional movers come and load those boxes into your moving truck for you. If you decide to use a pod for a local move where you will need assistance unloading those boxes from your storage container, we can help you with that too, just let us know! 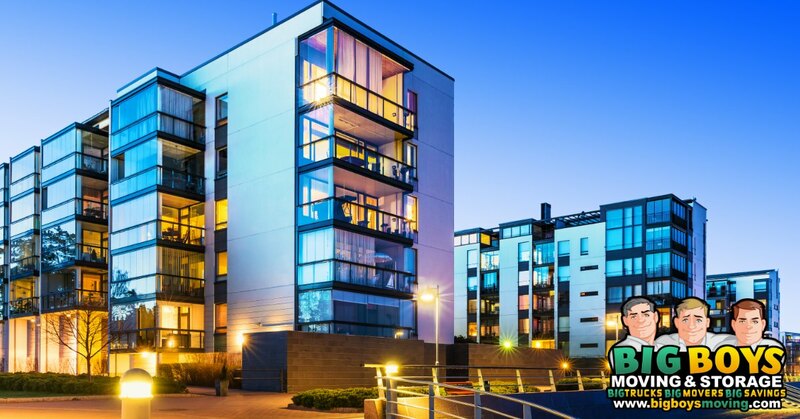 The advantage of a labor-only move option is that you get to save money on moving services and you still don’t have to do any of the heavy lifting! Packing and unpacking services are tedious and for some people, they’re the worst part of moving! That’s why here at Big Boys Moving and Storage, we offer a package for packing and unpacking services so that you don’t have to tackle that part of the move and you can arrange for everything else to go smoothly on moving day! Our packing and unpacking only service is an affordable service that is designed to take the tediousness out of your move! If you need movers to move one thing, a “single item pickup“, for example, if you bought a new couch from an online classified ad and need help getting that couch home, we can help! It doesn’t matter if it’s a retail store pickup, a Craigslist pickup, or just a pickup of the piano you couldn’t move on your own during your move, we can help! Our single item pickup service is a service of convenience, it opens up a whole new option for shoppers to take advantage of extreme sales and great deals! If you’re ready to book our moving services with truck labor only services, we’re here to help! Just dial 813-936-2699 and let us know when you want to make that move and we’ll take care of all of the heavy lifting for you!